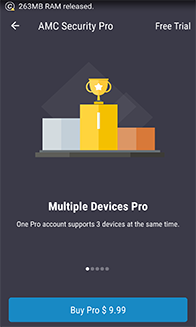 With an AMC Security account, you can on-line protect 3 devices comprehensively in the Cloud.Furthermore, you can get quick feedback and promo info from IObit. 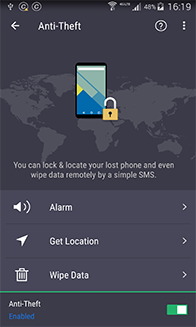 Enable Anti-Theft, you can lock & locate your lost phone and even wipe data remotely by a simple SMS. With an account, you can wipe data remotely to avoid private information leak. Download and install AMC Security v5.0 to use it on multiple devices right now!